Our signature almond toffee is available in a rich dark chocolate. 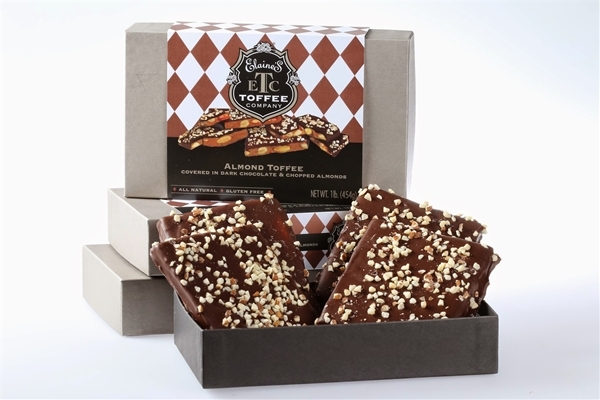 Almonds are added to our toffee during the cooking process so they toast to a perfect flavor and crunch. After enrobing the toffee in a dark chocolate, we top it off with more crunchy almonds. 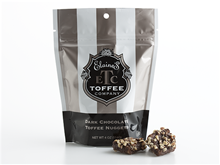 Dark Chocolate Toffee Nuggets 4 oz.